Only a few meters away from Charles Bridge, right in the heart of the historical centre of Prague, you will find Hostel 'Mango', a combination of modern services, fantastic location and relaxed comfort. Almost all of our rooms are made up in dormitory style and all of them are ensuites - all have private facilities. The capacity of more than 100 people will make this atmosphere very social and own bar downstairs with very attractive price for all our guests would make Your stay unforgettable. - Booking of multiple beds in dorms does not guarantee you all stay in the same room. 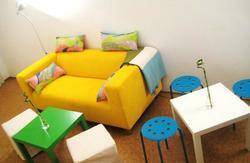 - Huge TVs in common area - underground CAVE lounge bar with air-condition. - Yard terrace inside the hostel - great open area to hang out with friends. - Laundry services are provided as well. We have several washing machines and dryers for our guests to use for very attractive prices so You won't need to search for any further laundry facilities. SUPERIOR AND DELUXE APARTMENT are located 2 minutes away from Misenska street, where the keys will be handed over. View on Malostranske namesti. 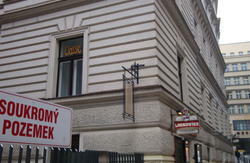 Located 100m from Charles Bridge and a ten-minute walk to the Prague Castle. 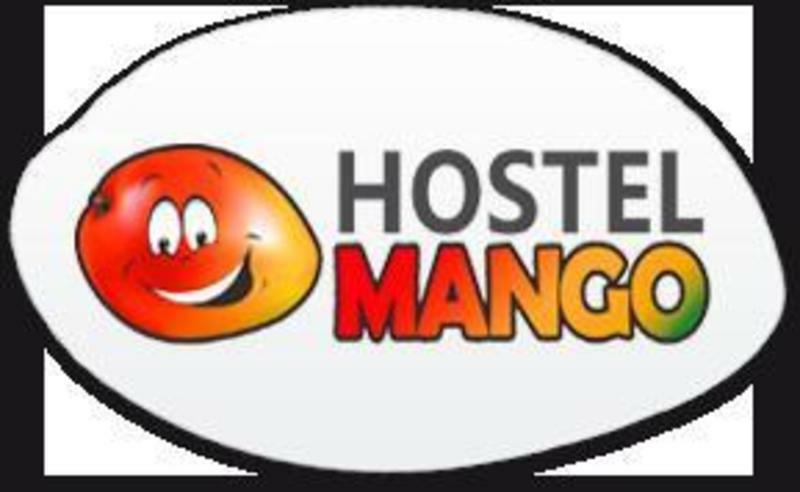 .Hostel 'Mango' is located in Mensk street. The closest metro is 'Malostranska' - green metro line, located 5 minutes walking on foot from Hostel. From the airport: You should take a bus number 119 and go to the last bus station - Dejvicka - green line metro station. Afterward, please take a metro Dejvicka and go only 2 stops to Malostranska. After reaching Malostranska, You should leave the metro, and after taking a left exit from metro, please go to the right following Klarov street. After getting to a crossroad between Letenska and U luzickeho Seminare street, follow U luzickeho Seminare street. After around 3 minutes walking - please take a right turn to Misenska street - in couple of minutes You will find a Hostel 'Mango' with a number 8 on the building. From the Main Train Station: Take the metro Line C (the red line) and go one stop to Muzeum. Here change the red line C to green line A and go 3 stops to Malostranska station then follow the direction above. From the bus station Florenc: Take the metro Line C (the red line) and go 2 stops to Muzeum. Here change the red line C to the green line A and go 3 stops to Malostranska then follow the directions above. From the Holesovice train station: Take the metro Line C (the red line) and go 4 stops to Muzeum. Here change the red line C to green line A and go 3 stops to Malostranska station then follow the direction above.